Vacationing in Hawaii has been something I enjoyed immensely. I had been to Oahu and Maui on previous trips, but never to Kauai so this was something I was looking forward to. 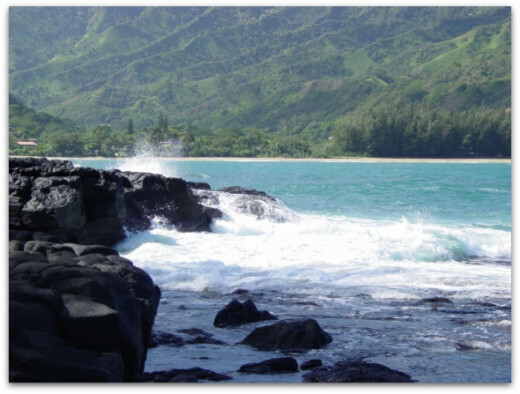 Kauai is one of the 8 main Hawaiian Islands, with over a hundred miles of coastline. 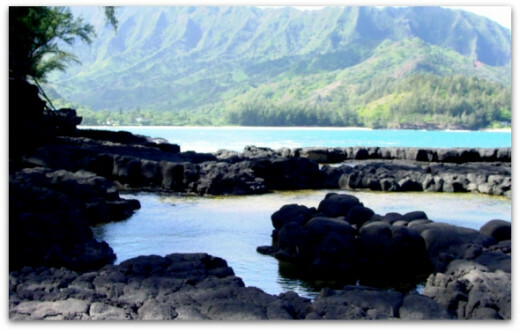 Kauai is called the "Garden Isle" and is geologically one of the oldest of Islands, about 5 million years old. About half of the coastline miles are beautiful beaches. The mountains are spectacular, the green forests, and beautiful white sand beaches, hiking, biking, snorkeling, and boat tours to the Napali coast, with 3000-foot cliffs protecting the area. There are so many breathtaking experiences in Kauai, and you can't miss Waimea Canyon which is known as the Grand Canyon of the Pacific. There is just so much to enjoy on the Island of Kauai, and it is only a half an hour plane ride from Honolulu. 1) Flights-you can fly directly into Kauai to Lihue Airport (LHI) or you can fly into Honolulu and take a hop over. It is only a half hour flight from Honolulu. You can book your flight with Orbitz and for your convenience I have included it here. 2) The best time to visit- Kauai isn't a real rainy Island and temperatures are usually between 75-85 F. Summer Season is between April and November with the least amount of rain while Winter December- March is cooler and might rain more. 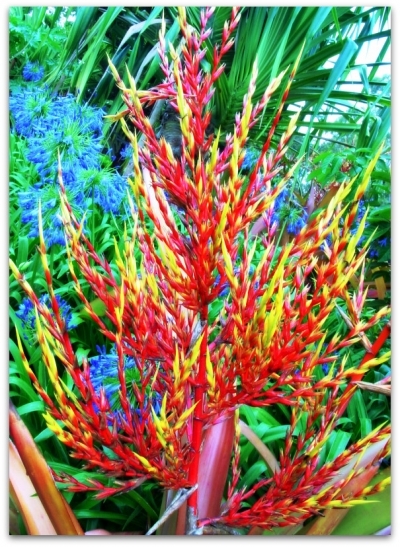 Winter is High Season for Hawaii. 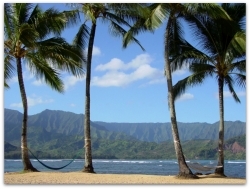 3) Accommodations in Kauai- You can find Bed and Breakfast accommodations, condos, luxury hotels or budget hotels. They have pretty much everything there. Various Hawaii Visitors Bureaus can give your more information on what's available. 4) Renting a car- It's best to rent a car if you plan to visit the different areas of Kauai. Some of the areas aren't accessible by car, but for the most part it's easiest to see the Island this way. 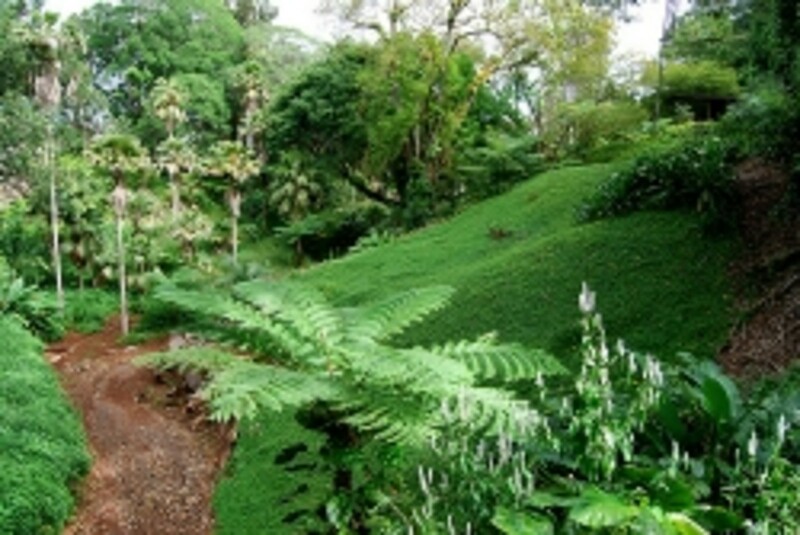 In order to see some of the interior rain forests you will want to book a helicopter tour. Lately there has been a shortage of cars to rent. Booking online as soon as you can will help, but also be prepared that during Holidays you may be paying a lot more than you used to, especially during holidays. 5) Don't worry about bringing your snorkeling gear with you ( I did this the first time and what a waste of time). There are little shops to rent everything you need for the day, or week. 6) Hawaii is one of the States (50th) of the United States so no passport is needed for American Citizens and legal immigrants. However if you are traveling from another country you will need one, or if you will be traveling to somewhere other than here afterward, that isn't part of the United States (US Citizens) you will need one. 7) Money- The US Dollar is the currency. It's really not necessary to bring travelers checks, as most places take credit cards and there are ATM machines to get quick cash throughout the Island. 8) Hawaii's Time Zone - All of Hawaii observes Standard Time (10 hours behind GMT), and doesn't observe daylight savings time. Kauai is 2 hours behind the Pacific Standard Time (western US states) and 5 hours behind Eastern Standard Time ( Eastern US coast). You would add another hour difference during day light savings time. And for London it is 10 hours ahead (ex. 5 pm in London would be 7am in Hawaii). If you are in Amsterdam add 1 hour as it is one hour ahead of London. 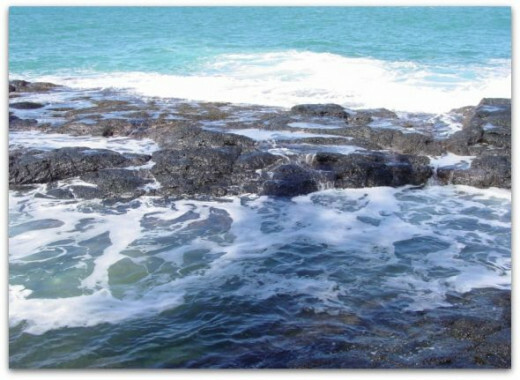 9) Follow Beach Safety Tips- Although Kauai has some of the best beaches, they can also be dangerous! The tides change daily as well as seasonally, and it's best to swim where there's a lifeguard. Ask them about the conditions before going out. If by chance you get caught in a Rip Tide (strong current) don't try to swim against it. Swim to the side of the current if it's not too strong, or just float with it until you are out of the current. It's best to only swim with a buddy as the waters are unfamiliar for visitors. Seasonal Changes to the Surf- Depending on when you go, Summer has calmer waves typically, and the Winter months have huge, very dangerous waves on the North and Western Shores. The beaches in the south are usually calmer than in the North. But one rule to remember always is to RESPECT the Ocean! 10) Prohibited items-. 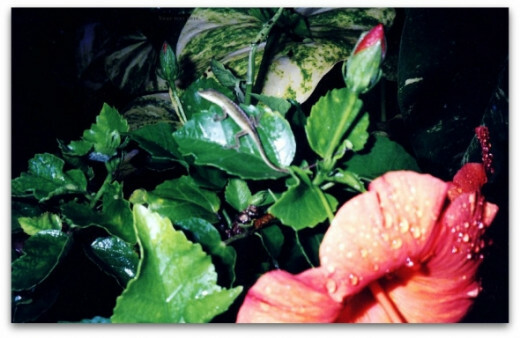 fresh fruits, vegetables, flowers, need to be declared and inspected by Department of Agriculture personnel when you arrive in Hawaii (1st port of entry); not everything is allowed. Also when you leave there are regulations on fruits leaving Hawaii . Pay attention to the rules as fines can be quite hefty! One of our days was set aside for a snorkeling excursion on the famous Napali Coast with it's magnificent cliffs that reach up to 3,000 feet. There were several choices of boats, and we chose the speed runner raft. It was really exciting with the wind blowing, hopping the waves as we bounced up and down admiring the beautiful cliffs. We passed dolphins and a whale along the way, as well as some of the more conventional boats that tourists booked for their snorkeling trips. This trip was probably one of the most fun during our week's stay in Kauai. The day was just beautiful, and because the winds were down we were able to go into a big cave that they said people actually come by boat and have their wedding ceremony in. It was a huge cave, with an opening at the top letting the blue sky light up the interior. It was enchanting to say the least, and we were lucky that day as you never know how the trade winds will blow. Our destination was Ke'e Beach, a famous movie location located at the foot of the Napali Coast Trail where the TV mini-series "The Thorn Birds" was shot. There is no way to get to this famous movie location except by boat. Snorkeling is excellent in this area and after we had lunch we had about an hour and a half to snorkel, walk the beach, or just sit and admire the area. I can't even begin to tell you how beautiful it was swimming with schools of fish, some absolutely beautiful against the coral reefs. The beach was also an adventure, and we took a small hike looking for a bathroom for one of our little ones. 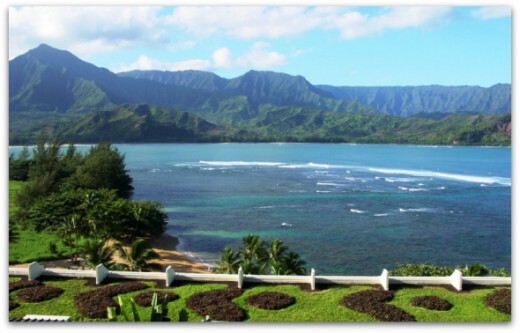 Kauai is the 4th largest, and oldest, of the 8 main Hawaiian Islands. 1) Plan a canoe trip down the Wailua River. 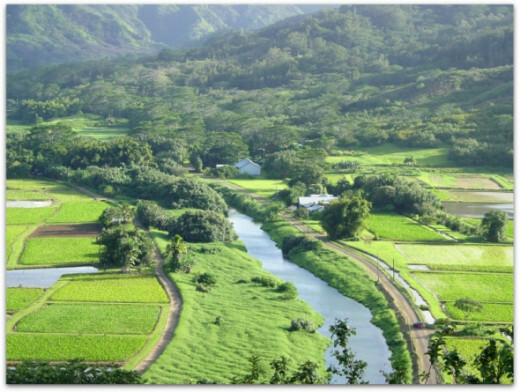 Kauai is the only one of the Hawaiian Islands that have navigatable rivers. Canoe down the same river that was in the film "Blue Hawaii". 2) A boat ride and snorkeling trip along the Napali Coast is a must- if it's raining one day, reschedule as it is truly worth it. If you get sea sick, or have any type of back injury you will want to go on one of the larger boats, not the rubber rafts. The rafts also aren't appropriate for infants or very small children. 3) If you've ever been to the Grand Canyon in Arizona you will love Waimea Canyon also known as the "Grand Canyon of the Pacific." Don't forget to have your camera. 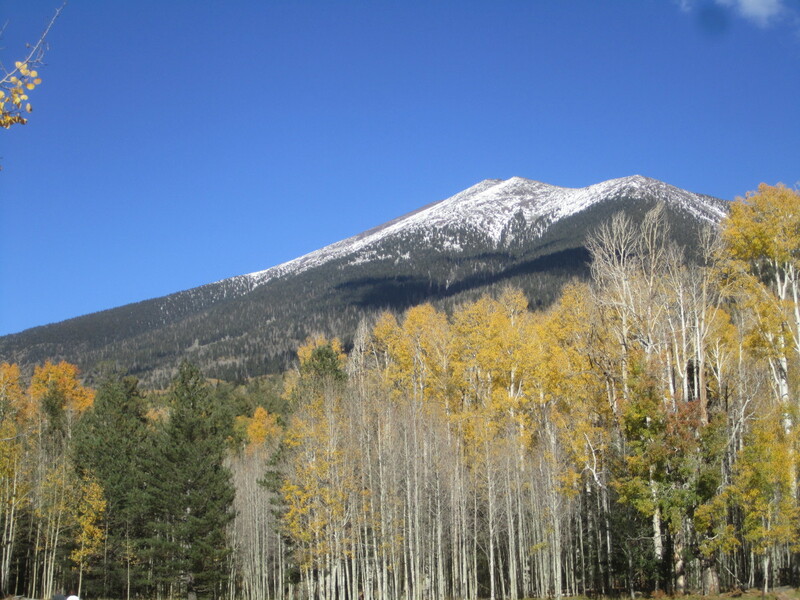 There are spots to stop, but also adventure out and stop at other places along the way for more views. 4) Visit the Kilauea Lighthouse on the Northern part of Kauai- the views are fantastic, and you can tour the lighthouse. A small admission fee is required, and there are several informational billboards outside telling you about the area. 5) Visit the North Shore- it's not like the North Shore on Oahu, but it is still pretty impressive. We found a big cave there that the kids had fun in. 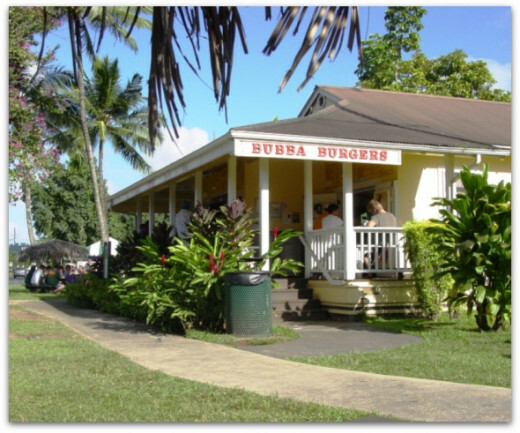 It's one of the tourist spots in the area, and don't forget a stop at Bubbas Burgers, simply "the best" but expect a wait. 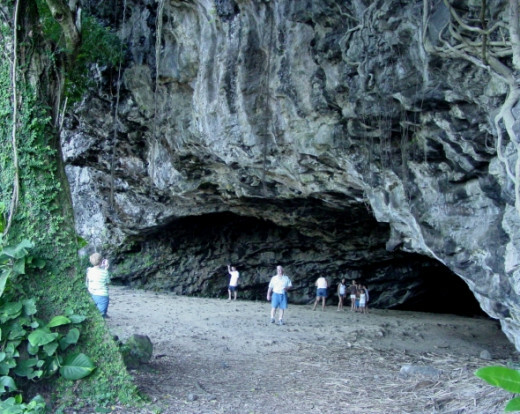 6) Hiking- Kauai is a tropical rainforest and not all of it is accessible by car, in fact only about 10% of it is. We found some amazing areas while hiking, even in the rain it was fun. 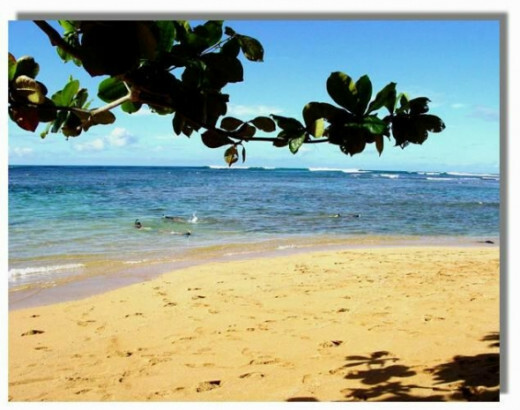 Kauai has some of the best beaches in Hawaii, and snorkeling is one of the most popular activities for tourists. 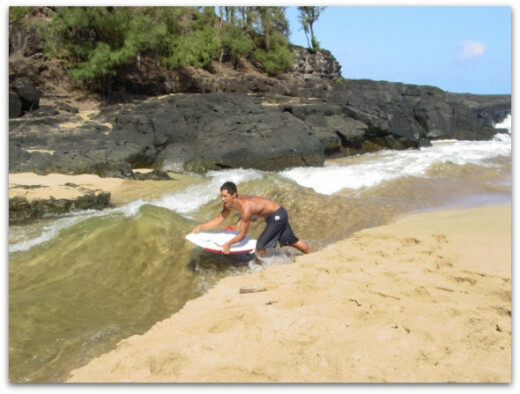 Besides snorkeling, surfing and boogy boarding are also popular. I saw a guy take his boogy board through a huge rip current, and was amazed that he would do that. But I guess if you were an adventurous local and used to this particular spot you might do it. But I wouldn't recommend this to anyone just visiting. 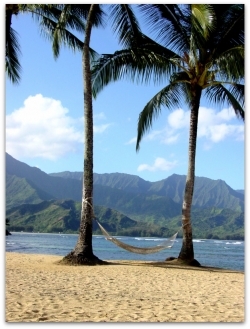 We stayed in Princeville, in the Northern part of Kauai, and when I saw these Palm Trees with hammocks stretched across I truly knew I was in paradise! Learn the best snorkeling spots on Kauai with this guide. I have never been here - but it looks amazing. 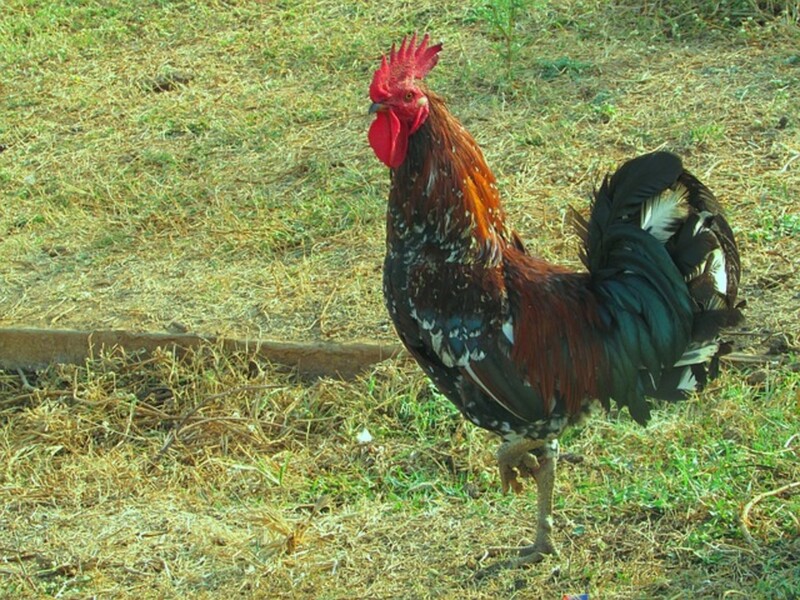 I loved your photo gallery - it gives a really good flavour of Kauai. My favorite of the Islands! Going back in June...can't wait! I just saw that arch in the new Pirates of the Caribbean. I was there in April. I love that island. 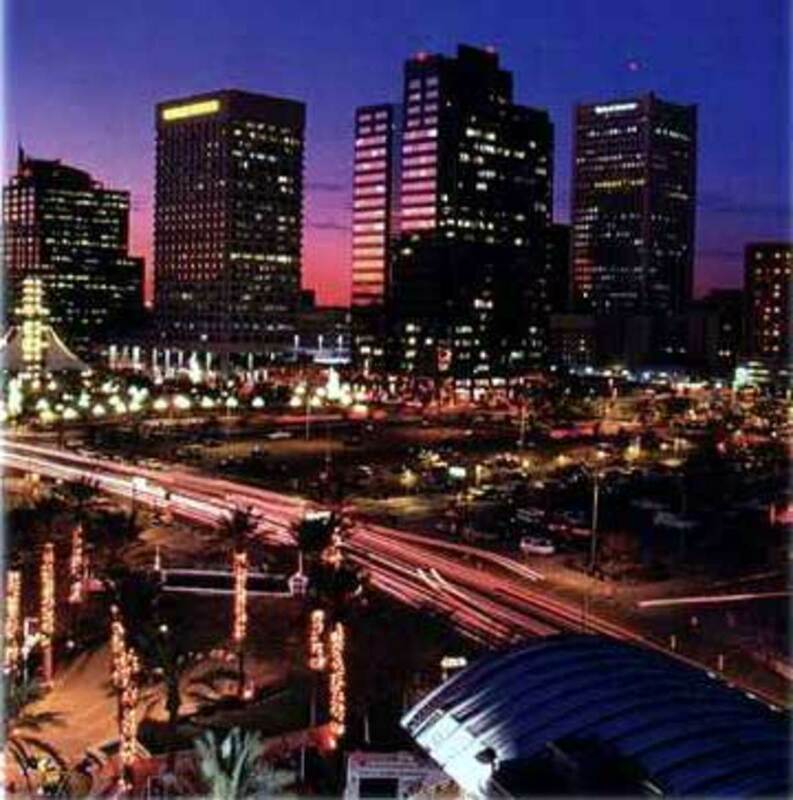 Beautiful lens...blessed and added to my United States Travel Angel lens. Kauai looks so beautiful... as is your photography. I've never been there but this virtual visit gave me a moment's escape from a dark, wet Scottish evening! Going to Kauai in June. Favoriting your lens. 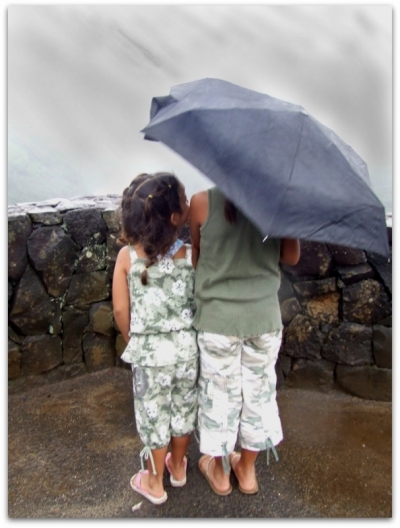 Yes, I've been twice, once to Poipu Beach before the hurricane, and once to Princeville. I loved both times, but prefer the climate in Poipu. Definitely one of my favorite islands. Great job on this lens! We've been fortunate enough to vacation in Kauai two separate times ... and each time, we've incorporated in a round or two of golf for hubby, some scuba diving, snorkeling and definitely fishing with Hawaiian Style Fishing and Captain Terry -- who we always recommend to our friends. My husband and I lived on Kauai from '82 to 92 and our son was born there. My brother has been there since '75. I think that it's the most beautiful place in the world and miss it very much. I love what you have done with your lens. I can almost smell the gardenias and the plumerias. NO - but Kauai and the rest of The Hawaiin Islands are on my bucket list. Thanks for this virtual tour and all the good info. I bookmarked and will be back soon to finish reading! I have always wanted to spend time in Hawaii. Have only been to the airport while changing planes on the way to Cairns, Australia. Love to snorkle. Think you would like the west coast of Florida. We have great beaches and weather, too. I had the privilege of living in Hawaii for 5 years. I lived on Oahu but Kauai is my favorite island. I visited it twice. Been to Hawaii three times - Ohau three times and Maui just once. I would love to visit Kauai one day. Beautiful photos. Lovely. I have been to Oahu twice, maybe next time I'll be able to expand my travels. Lensrolled to my Hawaii travel lenses, Hawaii For Kids By a Kid and Hawaiian Souvenirs. Looks fabulous and I'm pleased to know somewhere gets more rain than Ireland. I can hardly credit that. Hopefully it's at only one time of the year and not a constant deluge as it mostly is here. What beautiful images. Reading this lens is like taking a vacation in my head! Thanks for the time you in putting this page together. I've always wanted to visit the Hawaiian Islands and now I want to do so more than ever after reading this lens. Blessed by an Angel. Gorgeous pictures! Beautiful area. 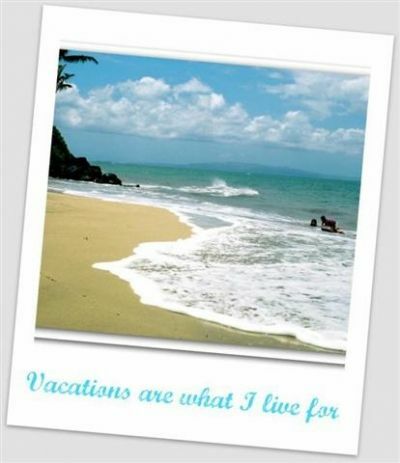 I've been to Oahu - my best friend lives on the North Shore of Oahu - and loved every minute of my Hawaiian vacation. 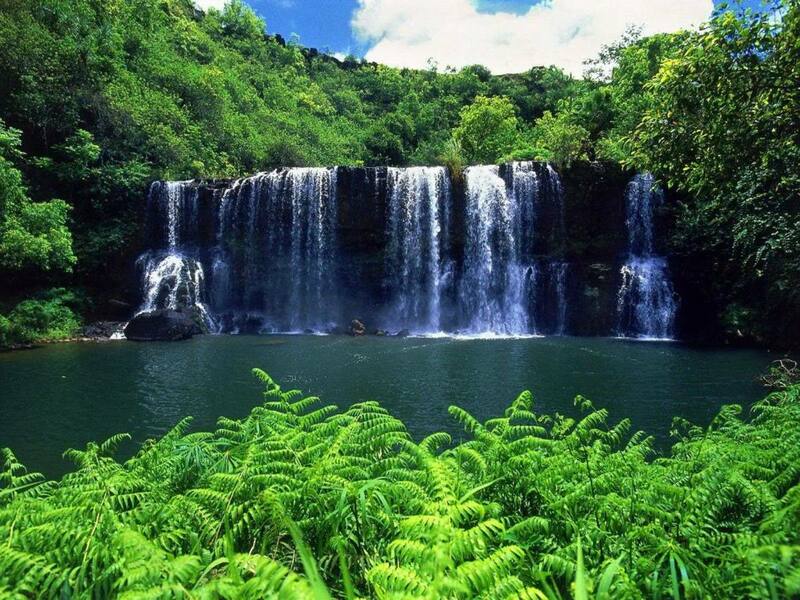 I'd heard how beautiful Kauai is and would love to go sometime. 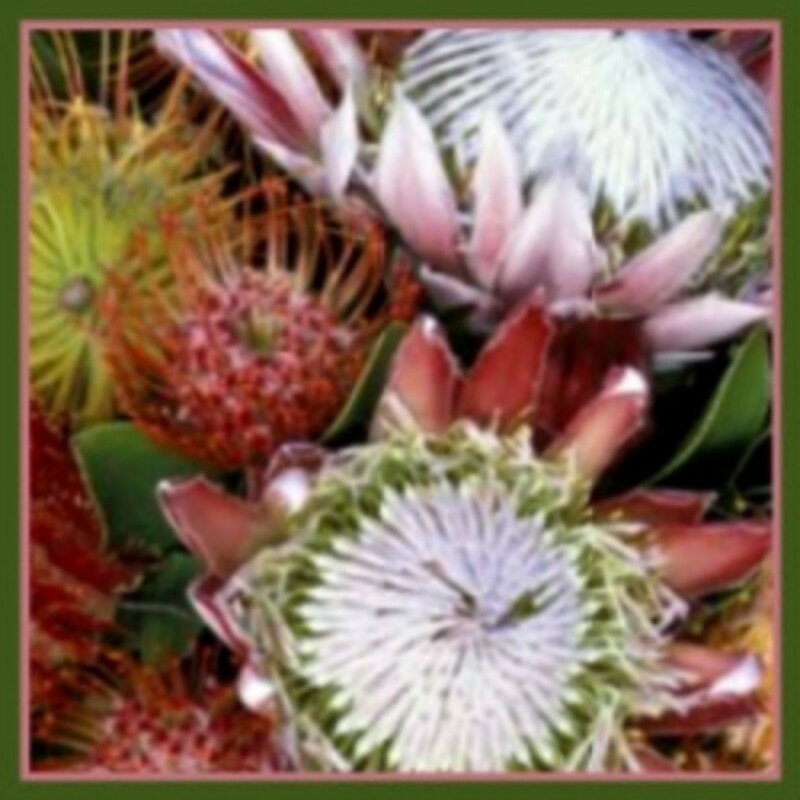 Thank you for sharing those wonderful pics! I've never been to Hawaii (quite a long trip from Germany and quite expensive flight), but this lens really makes me want to go there - sigh! Thank you for this lens, I consider this my Christmas gift! I really enjoyed the pictures, liked the ocean and all landscapes and flowers on this lens! What a fantastic place to go!